While there was not much new from ECB President Draghi yesterday, the bond market got nervous and German bond yields spiked higher. The 10 year yield was close to reaching 0.00 % just a few months ago and now it is almost back at 1.00 %. 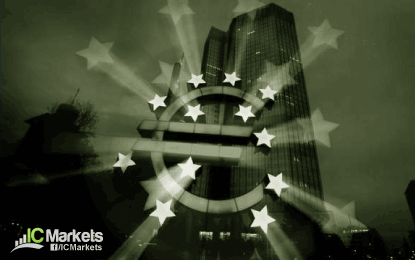 This has helped the Euro rally as well, with EUR/USD reaching a high of 1.1280. Overnight, the main data release was Australian retail sales data. It missed expectations, arriving at 0.0 % vs 0.4 % expected. This led to AUD selling from leveraged names and AUD/USD dropped from 0.7780 to 0.7710. The 1.0900/10 resistance area in AUD/NZD held very well on the recent test, with AUD/NZD now back in the mid-1.08s. Looking ahead, there are no important data releases in the upcoming EU session. The Bank of England will decide on interest rates at 12:00 BST, but no change is expected, as usual. In the US session, it could get more interesting with US Initial Jobless Claims and the Canadian Ivey PMI.